When I was a middle school student I remember standing in the band room at Francis McClure Middle School and trying out a variety of woodwind and brass instruments. No instrument clicked with me until I picked up the flute and attempted to play. Two decades after I first picked up the flute I continue to study this lovely and graceful instrument and search for new opportunities to perform beautiful music. During my more than 20-year career as a flutist I have studied with Andrea Yeckel, Rebekah Rummel and Gloria Christofano. I have remained involved in high school, college, church and community musical productions and events ever since I began playing this instrument. 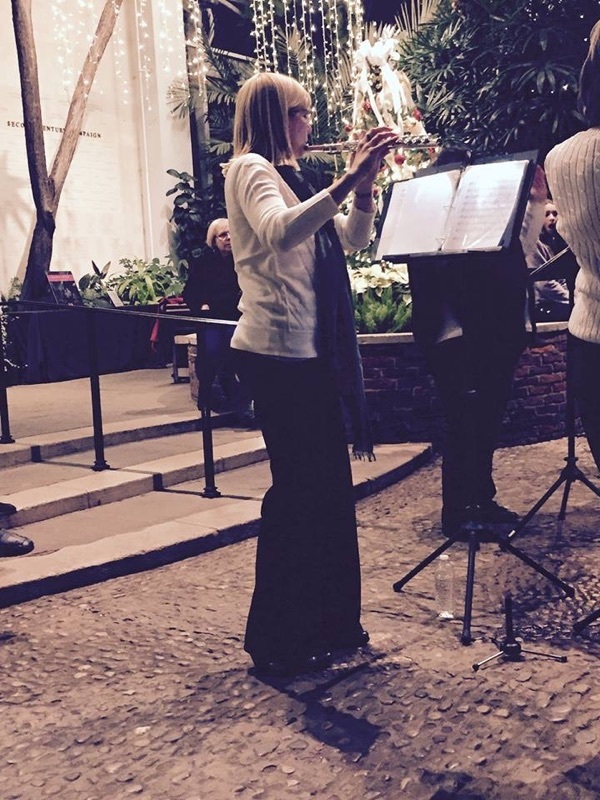 I currently perform with two ensembles based in Penn Township, Westmoreland County, Pennsylvania: the Penn-Trafford Community Flute Choir, directed by myself, and the Penn-Trafford Community Band, directed by Doug Skoretz. Our groups perform throughout Westmoreland County and in Pittsburgh, PA. Please come out and hear us play some lovely music! You can find the community band’s schedule on our website and the flute choir’s schedule on our Facebook page. I am available to perform as a soloist or with ensembles for a variety of occasions, including wedding ceremonies, church services, private parties and orchestral concerts. Please contact me using the form below if you are interested in hiring me as a flutist for your special occasion!